Vegetable calcium can't be dissolved by our stomachs (ruminants, like cows, can dissolve it—they have an extra stomach loaded with special bacteria who do the actual retrieving of calcium). Tablet-form calcium can't be dissolved well either, especially as we age. We need predissolved calcium if a little is to go a long way. Primitive people who lived on fish or stone-ground meal ate 4-6 grams of calcium a day.6 Even if only 20% of this got dissolved,they would still have about 1 gram of utilizable calcium for themselves. Chances are good they dissolved even more,since they were young (life expectancy was less than 50 years). Their skull remains show beautiful, cavity-free teeth. They lived outdoors, mainly, so getting enough sunshine-derived vitamin D was not a problem. Their natural diet supplied enough vitamin B2 to protect them from UV (ultraviolet) damage from sunshine exposure. But these are civilized times. Our lives are stretched into old age, when our stomachs no longer produce enough acid to kill bacteria, nor to dissolve the minerals in our food. So they need to be dissolved for us. Milk is a beverage where the calcium has already been dissolved by the other ingredients. The lactic acidin milk formed during digestion gives the calcium the correct chelated structure for absorption by the intestine. Even the bile participates in calcium absorption. Milk also contains phosphate, but not too much to be useful. It is recommended milk as a calcium source to heal the jaw bone after and before dental work. You need 1+ grams a day. One quart of milk has 1 gm (1000 mg) of utilizable calcium. You absorb only 250-400 mg. The rest is excreted and eliminated. 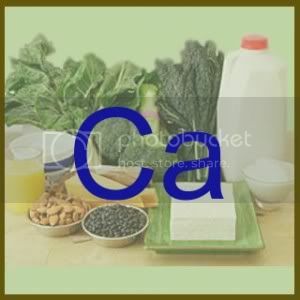 Only the absorbed calcium can heal your jaw bone. Use milk in cooking as well as a beverage. The calcium in it is indestructible.